Vaccination is critical in preventing the spread of measles. 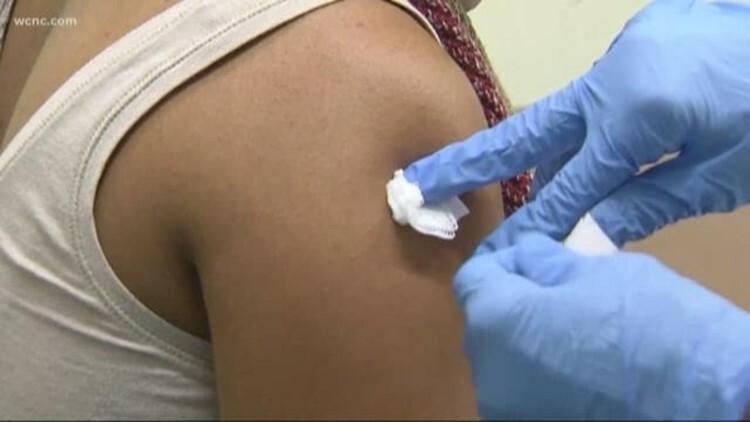 Columbia, SC (WLTX) The South Carolina Department of Health and Environmental Control has announced that now six cases of measles reported in Spartanburg county. As DHEC investigates these measles cases they are also in the process of notifying people who may have been exposed. People who had measles visited local urgent care facilities while they were infectious. Earlier, the agency said there were three cases. If you visited AFC at 1667 East Main Street Duncan, S.C. on Friday, Oct. 26 between 11:35 a.m. and 3:30 p.m., MEDcare Urgent Care at 301 E. Wood St. Spartanburg, S.C. on Saturday, Oct. 27 between 4 p.m. and 7:15 p.m., or the Greer Memorial Hospital Emergency Room at 830 S Buncombe Rd, Greer, S.C. on Saturday, Oct. 27 between 10:08 a.m. and 5 p.m., please contact the Spartanburg County Health Department at 864-596-3337. DHEC has notified healthcare providers to be on alert for patients with signs or symptoms of measles. Although none of the cases at this time have been associated with a school or child care setting, DHEC is providing letters to local schools and child care centers to help increase general awareness in the community about preventing measles. Children should receive two doses of MMR vaccine: the first at 12 to 15 months of age, and the second at 4 to 6 years of age. Children 6 to 12 months should get an early dose of MMR vaccine if they are traveling to a country where measles is common. For all ages, it is important to talk to your doctor if you are going to be traveling to another country. "I can't encourage people enough to review their immunization records and make sure they are up-to-date on all vaccinations," said Dr. Linda Bell, DHEC's state epidemiologist. "The best way to prevent measles is to get vaccinated." Measles is a serious disease that can lead to hospitalization and even death. The initial symptoms of measles include fever, cough, and runny nose. These symptoms are followed by a rash. The rash usually lasts five or six days.